Spanish banking giant Santander has announced the first graduate from the Santander Scam Avoidance School. 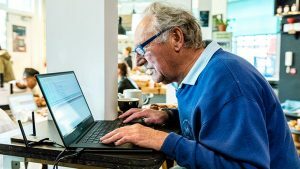 Alex Daniels, 86, sent a phishing email and breached a public Wi-Fi hotspot in 16 minutes 40 seconds. 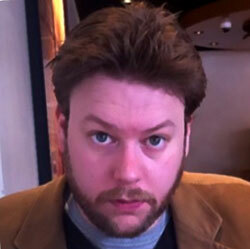 All of this took place under the guidance of security expert Marcus Dempsey. What did Daniels do as part of the Santander SAS? Prior to taking part in the Santander SAS, Daniels had little experience of computing. After a little work with Dempsey, Daniels was given two timed challenges. Challenge one: Write and distribute a phishing email. Using online search tools, Daniels was able to find templates and guides on how to create a realistic and believable phishing email. The email pretended to come from a fictitious company called MoneySpark. It asked for bank account information and had a link that recipients could click on. This took 13 minutes. Challenge two: Hack a public Wi-Fi hotspot. Once again, Daniels used the Internet to find a guide. He created a rogue access point to conduct a man-in-the-middle attack. He then used that to capture and intercept traffic from a laptop. This took just 3 minutes and 40 seconds. Carried out under controlled conditions both tests highlight some serious concerns. Phishing emails drop into inboxes on a daily basis. Many are poorly written and easily spotted. However, an increasing number are so professional they can be hard to distinguish from real emails. Certified ethical hacker Marcus Dempsey commented: “Unsecured public Wi-Fi networks can be easy pickings for criminals. By inputting passwords, bank details and confidential information into online banking or shopping websites over a public WiFi, people could be unknowingly putting their finances and identities in the hands of hackers. Phishing emails are a daily annoyance for most people. They drop into inboxes just as easily as junk mail comes through letterboxes. While most are easy to spot, the level of professionalism in some is worrying. Detecting the difference means careful reading of the email. However, with the amount of email people get, they don’t have the time to read carefully. This means that phishing emails will still continue to harvest personal data from individuals. The use of public Wi-Fi to get online is no longer a nice to have but a must for most people. They often switch from mobile data to a Wi-Fi hotspot for more speed and reliability, especially in city centres. It makes them an easy target for hackers in coffee shops, cafes, hotels, railway stations and many other places. As Santander and Dempsey say, use a VPN. These are available for all operating systems today. They are cheap and most are easy to use. As with everything online, assume it has risk attached. With that approach in mind, it is possible to avoid the worst of the Internet.